A Calls-to-Action Blog. Writers. Thinkers. Doers. Car Seat Headrest are a band who wear absolutely everything on their sleeve, both in their records and in their live shows. Everything is set up perfectly to articulate the complex, emotive and often darkly humorous tales of Will Toledo’s musings – on issues including mental health, sexuality and relationships. They opened their set with the very prog rock intro of their track The Ending of Dramamine, before Toledo sauntered on stage and closed the opener out with a cover of Lou Reed’s ‘Waves of Fear’. An apt calling card for the rest of the gig, with a set made up of a selection of well chosen covers that highlight a handful of key influences including Talking Heads, and hits from their back catalogue. It didn’t take long for the energy of the show to kick in – fresh from its debut on the Tonight Show with Jimmy Fallon, the band launched into one of the major hits off their latest release Twin Fantasy, Bodys. It’s a track that typifies Toledo’s knack for nuanced songwriting – crossing a hugely energetic and upbeat rock song with awkward lyrics about a complicated relationship and the live eventuality of the the audience screaming “Don’t you realize our bodies could fall apart any second?”. 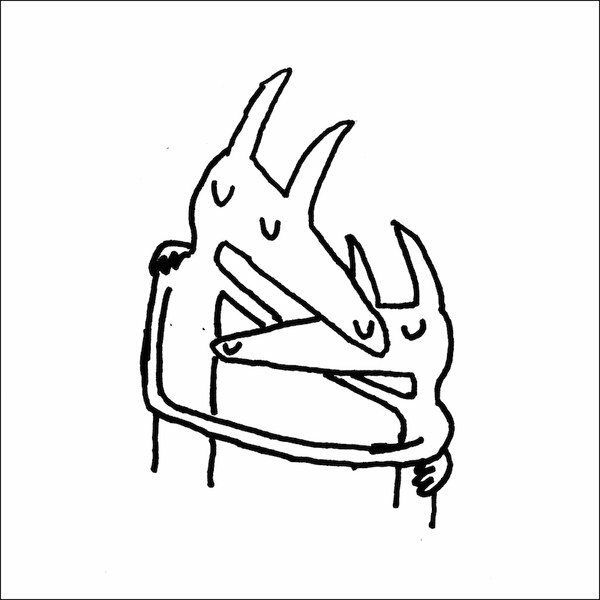 This is really the beauty of how Car Seat Headrest translate live: a genuine expression of completely real emotions that are packaged into incredibly accessible anthems, thanks to the refrains. The audience played a bigger part than expected and took on a character of its own as the gig progressed. During the band’s fourth song Destroyed by Hippy Powers, the ultra-animated percussionist ran down to the crowd and brought an excited fan onstage to help with the cowbell. A few songs later, during Drunk Drivers / Killer Whales, an inflatable Orca floated over the centre of the crowd towards the stage. This happy-go-lucky vibe stuck out more than at most gigs, especially as the band pretty much just look like your best friends from school: Andrew Katz sported a retro sweatband and Toledo, with his thick rimmed black spectacles and floppy fringe. The whole night felt almost akin to an immaculately performed battle of the bands. Not enough can great things can be said for the band’s actual performance. Every song was tight – even when playing America off-the-cuff, with a quick exchange of instruments and Toledo borrowing a guitar, seemingly spontaneously. The band also played numerous alternative versions of songs to bring out their best qualities, including the first song in their encore Sober to Death. Toledo and an accompanying guitarist opened with a sombre and reflective guitar duet, as lyrics about a relationship made difficult by mental health issues rang out over a silent audience. The song built up to an incredibly moving climax with the track closing on the timeless refrain of “Don’t worry, you and me won’t be alone no more” left it’s emotional impact. And the haunting crescendo of “the ocean washed open your grave” seeing the song out referencing to a constant return of feelings for a former lover. A genuine evening to savour thanks once again to 2 hours of incredibly tight performances, quick humour and the odd feeling of distant familiarity – an excellent songwriter’s emotional understanding. Founded by Sir Torquil Norman CBE, the Roundhouse Trust is a registered charity with an objective to provide ‘space to create’ for 11 to 25 year olds. The Roundhouse runs an International Youth Programme – click here to read more and to find out how you can get involved. Did you know that 137,500 girls missed a day of school last year because they couldn’t afford menstrual products? One in ten girls have been forced to improvise. 1 in 10 parents have admitted to sending their daughter to school without pads and tampons, and 6 per cent of parents have been so desperate, they’ve resorted to stealing on occasions they couldn’t afford them. Kenya has repealed tax on menstrual products, and last month pledged to distribute pads to every single one of it’s 4.2m schoolgirls in its public schools. Kerala, a state in Southern India, is handing out period protection for schoolgirls in a bid to keep girls in school when they menstruate… Yet, the UK seems to be lagging behind in our will to provide access to menstrual hygiene management. ACHMAT HASSIEM – who saved his brother from a shark attack by diverting the shark towards him. He lost his leg. After overcoming depression, he went on to swim for South Africa, winning bronze at the 2012 Paralympics. ALAN L. HART – one of the first ever transgender people to have gender reassignment surgery. He studied medicine and became a bestselling author. BALDWIN IV – who at the age of thirteen, in 1161, was crowned King of Jerusalem. King Baldwin had leprosy, but that didn’t stop him from riding out with his army and fighting alongside his men. He and only 500 men defeated an invading army of 26,000. CHARLES FOURIER – the (18th philosopher who believed in equality and who invented the word feminism. FREDERICK DOUGLASS – born into slavery in C19th. He eventually escaped and dedicated his life to fighting to end slavery, for women’s rights and Irish independence. It’s a wonderful collection, for boys, girls, kids, grown-ups…EVERYONE!